Destiny 2's latest expansion, Black Armory, was set to wrap up with the release of the fourth and final forge-the Bergusia Forge-this week. After hearing feedback from the Destiny 2 community regarding the new Bergusia Forge being locked behind the Niobe Labs puzzle, Bungie made a decision to unlock the Bergusia Forge for all players at 2 PM PST on Wednesday, December 9th. Destiny 2 can be a very hard game if you're going after the rarest loot but nothing has divided the fanbase quite so much as the Niobe Labs puzzles from the Black Armory DLC. You can check out various Reddit threads for details on what Niobe Labs actually consists of, but players have been pushing back against the obscurity of the puzzles and the lack of checkpoints along the path. 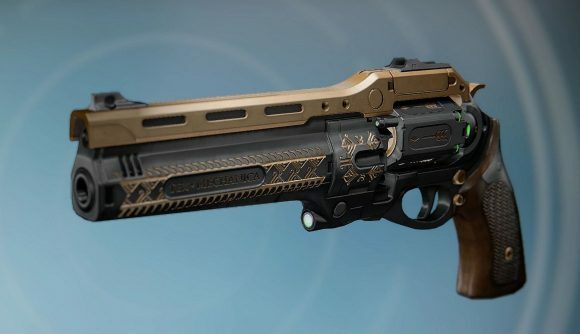 It was only a few weeks ago when Bungie introduced the Black Armory into Destiny 2, allowing players to unlock four forges and craft their own powerful weapons. No doubt Bungie anticipated that some of the more prominent community puzzle-solvers or streamers with large communities helping them in Twitch chat would solve the puzzles quickly, and the entire community was meant to come together to celebrate the achievement by experiencing the Bergusia Forge together. They have acknowledged that the puzzle is too hard, but gamers can still attempt to solve it although the Forge is unlocked. "All Annual Pass owners will be able to experience the Bergusia Forge when the puzzle is solved or when the deadline expires-whichever happens first". To find the Forge, head through Niobe Labs and go to the upper platform where a giant blast door will open, revealing the Bergusia Forge in all its glory. Check out his stream in the embed below.